Ideal for toe and forefoot surgery. 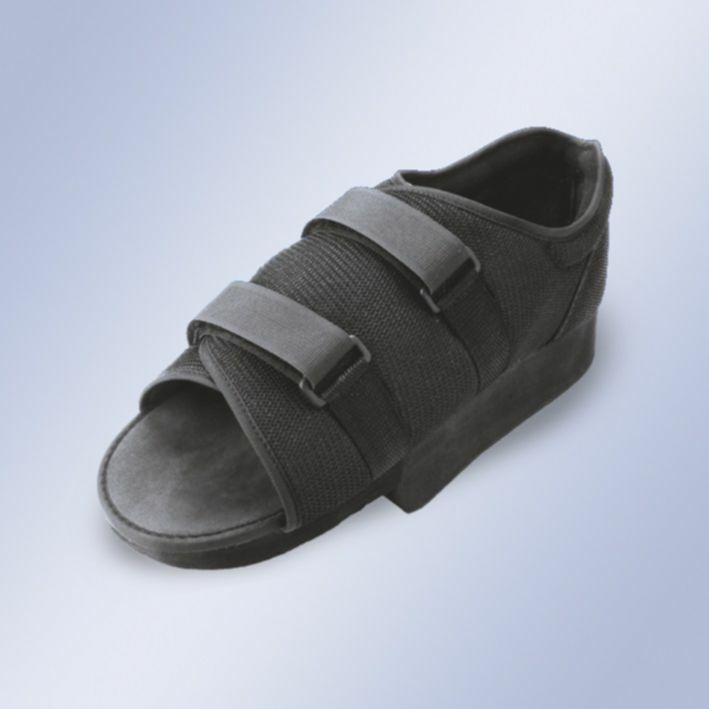 Made of breathable material and with an open toe, ideal for toe and forefoot surgery, with rigid reinforcement in the heel, ideal for heel afflictions. Indications: Post foot and toe operations, for cases of difficulties in venous return (oedemas), when conventional footware cannot be used, Bandages that immobilize the tarsotibial joint, there by facilitating movement, especially in the lifting phase. Size: XS/0 (33-35), S/1 (36-38), M/2 (39-40), L/3 (41-42), XL/4 (43-45) Shoe size.